A beautiful home can make your life pleasant, and choosing to furnish your room with the best furniture and home items is an essential part of making your home truly yours. FabFurnish is one of the largest online home stores in India where you can find excellent deals for home furniture, furnishings, home decor, and kitchenware. The website has been brought to India by European investors, and offers thousands of products from over 600 national and international brands. We have the latest FabFurnish coupons for great discounts. When you choose to buy furnishings at FabFurnish, you are sure to find anything you need to turn your home into your own personal space with a touch of elegance. Whether you are looking for a statement item that will make your home stand out from the crowd, or something more discreet that would add a bit of understated style to your living space, you can easily find all the furnishings you need under one roof at FabFurnish. From classic silver sets and vibrant bed sheets to beautiful art pieces for the living room and modular kitchen, you can save big when shopping for your home with FabFurnish coupons. The wide range of products and ideas available on the website make it easy shop for products that will transform the look of your home. 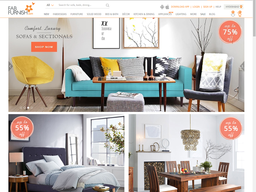 FabFurnish is a leading online marketplace of home furnishings, decor, appliances, and furniture pieces. The privately held company is based out of Gurgaon, India, and serves customers exclusively online via FabFurnish.com and their mobile apps for Android and iOS devices. Customers can choose from a wide range of products to be promptly home delivered across India. As well as their wide selection, one of the reasons customers are flocking back to the store is the variety of FabFurnish offers available, which get you money off. These are often redeemed using special FabFurnish coupons, a list of which we keep up to date right here at DealSunny. All you have to do is remember to browse back to this page before placing an order to ensure you get the best deal possible! FabFurnish was founded in 2012 by Vikram Chopra, Mehul Agrawal and Vaibhav Aggarwal, with Ashish Garg and Ankita Dabas joining in 2015. They saw a gap in the market for a furnishings and furniture shop that could offer everything in one place, without the customer even having to leave their home. " Getting the right furniture piece for your home can be a challenging task. And we are here to simplify that for you. 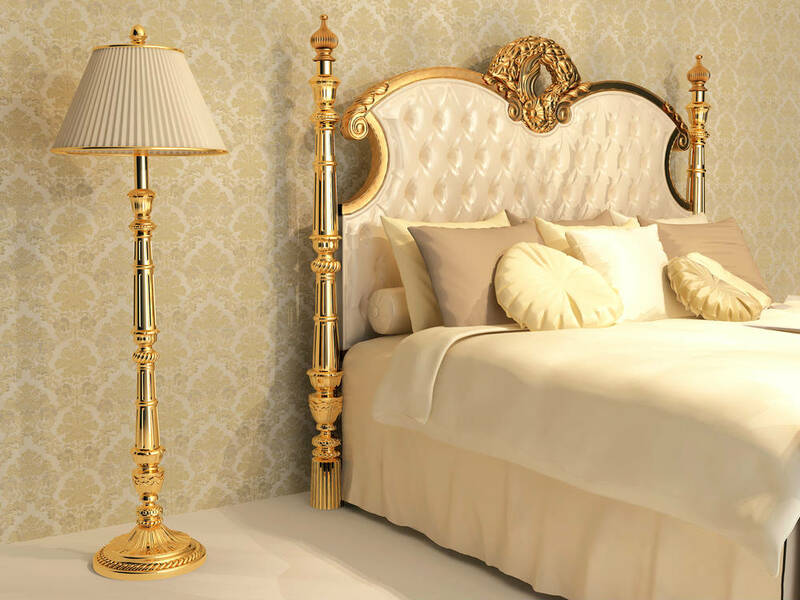 Committed to the best customer services, we present to you a wide range of choices of furniture and home décor items to choose from," reads their about page. After much success the company was acquired by the Future Group in 2016. They oversaw a special ad campaign that gives viewers a look in the homes of famous people who have shopped at FabFurnish, including film actor Kalki Koechlin. The store stocks a comprehensive range of high quality FabFurnish furniture pieces, home furnishings and homewares, at affordable prices. This includes their own sourced products and popular brands from India and overseas. There is something for every room in the house, so you'll never come out empty handed. The FabFurnish promo code you choose from our list will depend on what you wish to buy and the type of deal you're after. Some coupons for example might be applicable on all purchases, however others may provide a bigger discount on specific items and brands only, such as FabFurnish furniture. Note, you can only use one code per order, so make sure it's the one that will make you the most savings! Types of furniture and furnishings available at the store include Seating, Sofas, Beds, Bean Bags, Storage, Office, Tables, Bars, and more. You can also purchase Bed Sheets, Bedding, Pillows & Covers, Mattresses, Towels , Home Accents, Candles & Fragrances, Vases & Flowers, Metal, Wood, Plastic, Wall Décor, Posters & Prints, Cushions, Clocks, Wall Art, Acrylic, Garden & Patio Accessories, , Wall Decals & Stickers, Canvas, FabFurnish Curtains & Accessories, Wall Papers, Wall Accents, Paper, Key Holders, Flooring, Decorative Mirrors, Wall Hanging, Photo Frames & Albums, Paintings, Lamps, Lighting, Fans, Luggage & Bags, and much more. You will also find Home Appliances for Cooking & Food Prep, Coffee & Tea Makers, Home Entertainment, Split ACs, Windows ACs, Coolers, Refrigerators, Washing Machines, Geysers, Air Purifiers, BP Monitors, Hot And Cold Pads, Massagers, Thermometers, Pedometers, Trimmers, Shavers, Men’s Grooming Kits, Epilators, Hair Dryers & Stylers, Sports & Fitness, and more. Furthermore if you are shopping for somebody else but don't know what they'd like, you can get an e-Gift Card in an amount of your choosing. This lets the recipient choose what they want themselves, paying for it using the balance on the card. Up to 65% Off + Extra 20% Off on Area Rugs and Recliners, Up to 80% Off on Select Products in the Clearance Shop, Upto 40% Off on Storage Beds, Upto 70% Off on Side Tables, Upto 56% Off on Dining Table Sets and so much more. To get the newest FabFurnish offers to your inbox, make sure to subscribe to the company's newsletter that pops up right when you open their website so you never miss any of their offers again. FabFurnish has a Facebook and Twitter account where they post deals and discounts for their followers, as well as information about upcoming sales when you can save big and transform the look of your home without breaking the bank. The incredible selection of items that ranges from FabFurnish curtains to large pieces of furniture is the main reason to shop on FabFurnish. The website also offers an incredible selection of items in the clearance section, where you can save 80% of your original price on thousands of products. The ease of using the website and placing an order is another reason to shop for all your furniture needs on FabFurnish. The company offers mobile apps for those ones to shop on their smart phones. Apps are available for Android phones and iPhones, and you can download them on Google Play and the App Store. Placing your online order at FabFurnish couldn't be easier. All you have to do is go to FabFurbish.com, which operates like a typical eCommerce store with a cart and checkout system, or download the mobile apps for Android or iOS devices. These are available directly from the Google Play Store and Apple App Store respectively. On Google Play it has an average rating of 3.8 out of 5 starts, from nearly 7,000 reviewers. Before making an order it's a good idea to register an account with your personal details, as you will be prompted to do this before checkout anyway. You will then have access to your order history and can make purchases faster because your details are saved. To find what you want simply browse the appropriate categories or use the search bar at the top of the page. Product listings can then be sorted and refined further by parameters such as Popularity, Price Range, Colour, Size, Features and others (depending on the category). Product pages include photos of the item, a more detailed description, delivery and payment terms, and the ability to choose your options (size, quantity) and add it to your cart. If happy you just need to go to checkout where you can enter a FabFurnish promo code to get a discount. FabFurnish accept a wide variety of payment methods so all customers are able to place an order. The payment step is just after you have redeemed any FabFurnish coupons. This includes most common Indian issued credit, debit and cash cards, including Visa, Visa Debit, Mastercard, Maestro, American Express, Diners Club, among others. If your issues supports EMI there are multiple options for this. You can also use Net Banking with most major Indian banks, which allows you to transfer funds directly from your bank account. If you do not wish to pay online then enter your pin code and see if Cash On Delivery (COD) is available in your area. This requires you to pay the courier in cash when they arrive with your order. They will then update the status accordingly within your online account. If you have an e-Gift Card this can be used to pay for all or a portion of your order, with any remaining charge covered by another accepted method. Using a FabFurnish promo code is incredibly easy, as all you need to do is insert the number and letters combination on the coupon code in the promotional box available on the payment page of the website. Make sure the code you intend to use applies for the kinds of items you want to purchase, and also check the validity of the coupon, because most of the FabFurnish codes have a limited period before they expire. All FabFurnish orders are processed within 24 hours, and you will get them delivered within the delivery time mentioned on the product page. You can choose to have your items delivered on a particular day, but you cannot choose the exact hour, so you will need to use the tracking ID provided in order to know where your order is. Free delivery is available across India, but shipping charges may be applicable for certain items. The shipping cost is based on the actual selling price and is not included in discounts available when you use a coupon code. For products less than Rs. 500, the shipping charges are Rs. 49. For Products between Rs. 500/- and Rs. 2,500/, you will have to pay a delivery fee of Rs. 99. If you order something with a value between Rs. 2,500/- and Rs. 10,000, you will have to pay a shipping charge of Rs. 499. If you want to return a product that you are not completely satisfied with, you need to conduct customer service by phone or by dropping an email, and they will let you know the procedure for returning your items. In most cases, you will have to pay for the shipping fees to return the items for a refund or exchange. Of course, only the amount you paid after deduction of the FabFurnish coupons you used will be refunded. @mayankraina2101 Regret the long wait encountered. We're trying our best to resolve issue on priority. Request you to grant us some time. @ang15888 Sincere Apologies. We have already initiated the refund and it will take 5-7 working days to reflect in your account. Please wait. @avimaitra Sincere Apologies. We are initiating the refund for your order and transaction details will be shared soon. @Atul56708101 Sincere Apologies. Your had failed in quality check and unfortunately there is no stock available for the same.